We at Sai Engineers, a leading organization have come up with a state of art technology to give solution to this problem of debris disposal. Now disposal of debris is Safe and User friendly by using Debris Chute. Construction sites are always prone to accidents, dirt and unsafe working conditions. During construction debris is generated. Disposal of this construction waste is nightmare for Project Engineers. Lots of accidents happen due to this and most of them are fatal. Human life is invaluable and occurrence of these accidents may lead to huge financial, legal liabilities and site schedule can go haywire. This loss is immense. Some of this problems associated with unsafe disposal of debris are as follows. Unfortunately, till date nobody has given a proper thought to this problem nor given a slightest of attention. 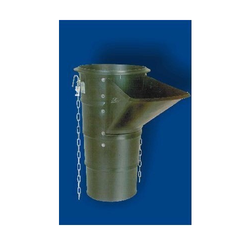 Our firm is involved in manufacturing and supplying a huge range of Industrial Debris Chute. Looking for Debris Chute ?